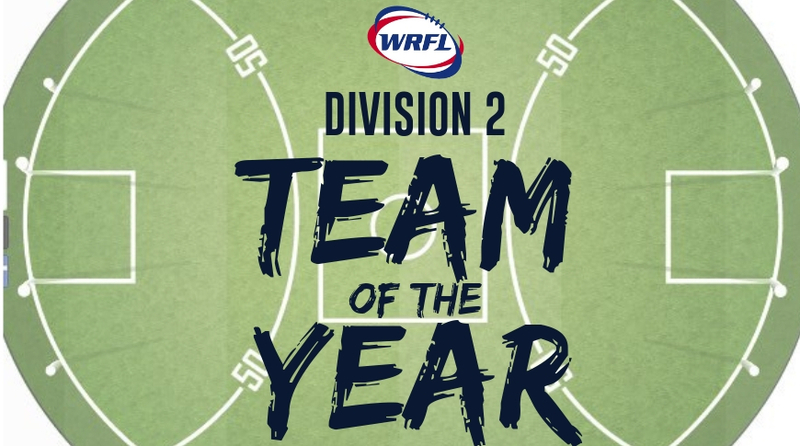 The Western Region Football League is happy to announce the 2018 Division 2 Team of the Year. 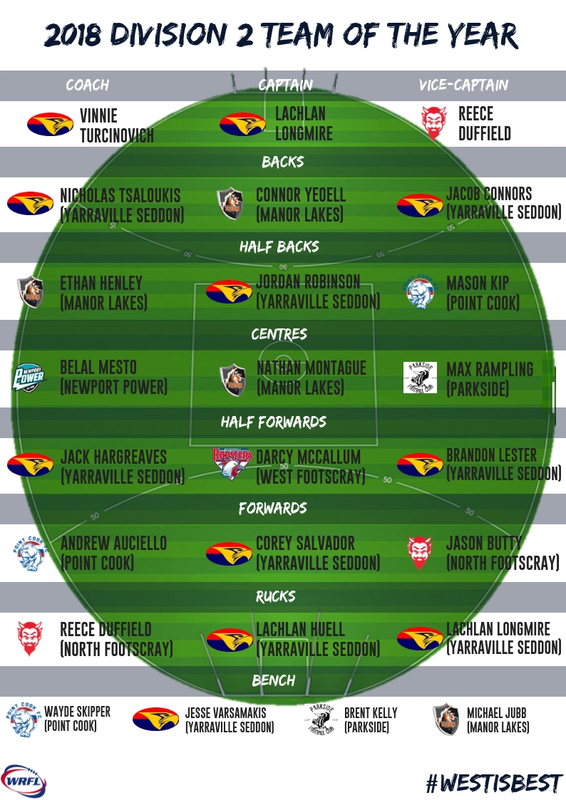 The Yarraville Seddon Eagles have the most representatives in the team, with nine players picked. Eagles coach Vinnie Turcinovich was named as Coach of the team, while Lachie Longmire was picked as Captain of the team. North Footscray star Reece Duffield was named as the Vice Captain.